Dr. Toni Schmader, PI (Canada Research Chair in Social Psychology at the University of British Columbia), is the Director of the Social Identity Laboratory and has 15 years of experience and over 50 publications examining how stereotypes and bias constrain people’s performance and self-views. 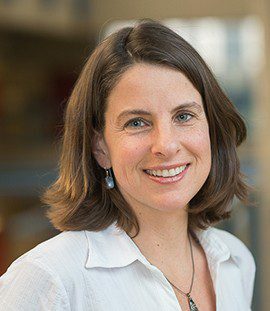 Dr. Schmader has given frequent public lectures on the topic of implicit gender bias including talks to the National Academies of Science in the United States, as part of Harvard’s Women in Work Series, and at the International Gender Summit. She was the recipient of a Killam Research Prize in 2013. Sign up to our newsletter to stay updated about partnership opportunities and company news. We will include industry insights, advices and more. The Engendering Success in STEM Research Consortium is funded by the Social Sciences and Humanities Research Council of Canada (SSHRC).